Oh! Edo Rocket is a stage play written for the Gekidan Shinkansen theater troupe by Kazuki Nakashima. It was adapted into an anime TV series in April 2007, directed by Seiji Mizushima and produced by Studio Madhouse. It is a comedic story often breaking the fourth wall, that involves a firework maker in medieval Edo and his efforts to build a rocket to carry an alien back to her people on the moon. 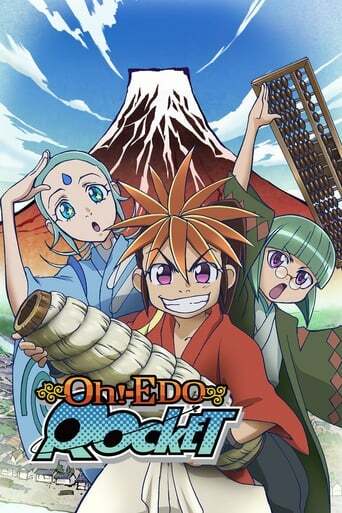 The series made its North American television debut on the FUNimation Channel on November 15, 2010.